A leakage has occurred (poor hose connections or tub damages). The drainage filter or drainage system (sewerage) is clogged. Issues with the drain pump. The inlet valve is defective or clogged. If the icon is no longer on the screen, then it’s an ordinary system failure. But if it appears again, then you need to make an inspection. All Electrolux dishwashers are equipped with sump. There is a float sensor at the bottom of it, which reacts to leakage. Your task is to check if there is water in it. Put the container under the machine, tilt it and drain the water. Unscrew the screws around the perimeter and remove the side panels. Disconnect the drain hose, inspect it for clogs. You can clean it under the running water. Open the faucet at full. Look at how quickly the water goes into the sewer. If the passage is clogged, use special cleaning agents. In 27% of all cases, error code I30 appears due to a clogged drainage filter. Therefore, it is recommended to clean it twice a month. Open the door, unscrew the filter and then mesh beneath it. Then inspect pump impeller. To do this, unscrew and remove the cover (located below the filter). Then remove the debris from the impeller. The pump and the nozzles should also be checked. You can inspect the appliance by removing the sump and taking the dishwasher apart. For more details read the article “How to replace the pump in the dishwasher”. In case of malfunction, the drain pump cannot be repaired. It requires a complete replacement. 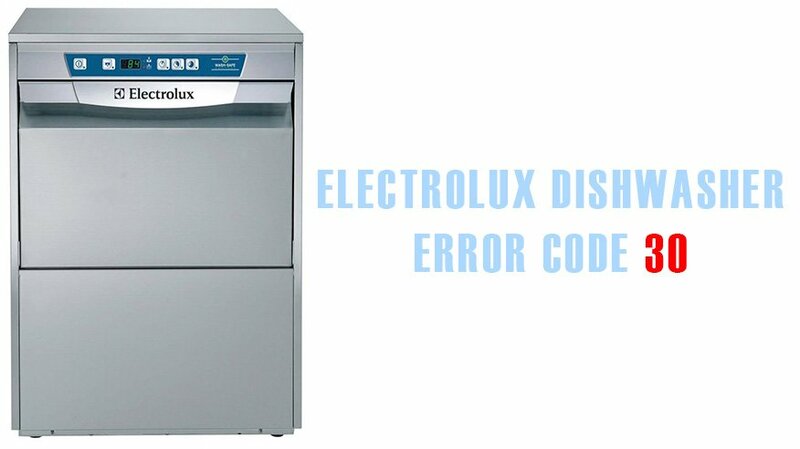 The error code I 30 in the Electrolux dishwasher may appear due to a broken water inlet valve. The electrical part (contacts, wiring) or mechanical failure may break down. The control module sends a signal to the valve, the membrane opens and water gets in. Then the membrane closes and the water flow stops.